Overview: The Alexandria library may have stored data related to nature inspired knowledge and technology of ancient civilizations and cultures that today would have give us information regarding our past and how CGE based technology of the past is being influencing the unfolding of the global culture time line (history), and the future of the emerging global civilization. Impact of the destruction of the Library of Alexandria in modern scientific research. The researcher starts with the myth of babel tower, and sets a reference in the field of communication and language, perception, as secondary source (beside conflict of interest) for conflict, aggression, destruction, and war. The Library of Alexandria, perceived as a peace project, and examples of its new modern culture versions, are introduced and listed. A review of the importance of cultural heritage, as for its value for the development and survival of a nation, evolution of their cultural proposal, approach, necessary to be observed, as for human rights declaration (originally suggested by Nicholas Roerich). A review of human rights & peace, challenges caused by immigration, business, development projects, tourism and emigration. 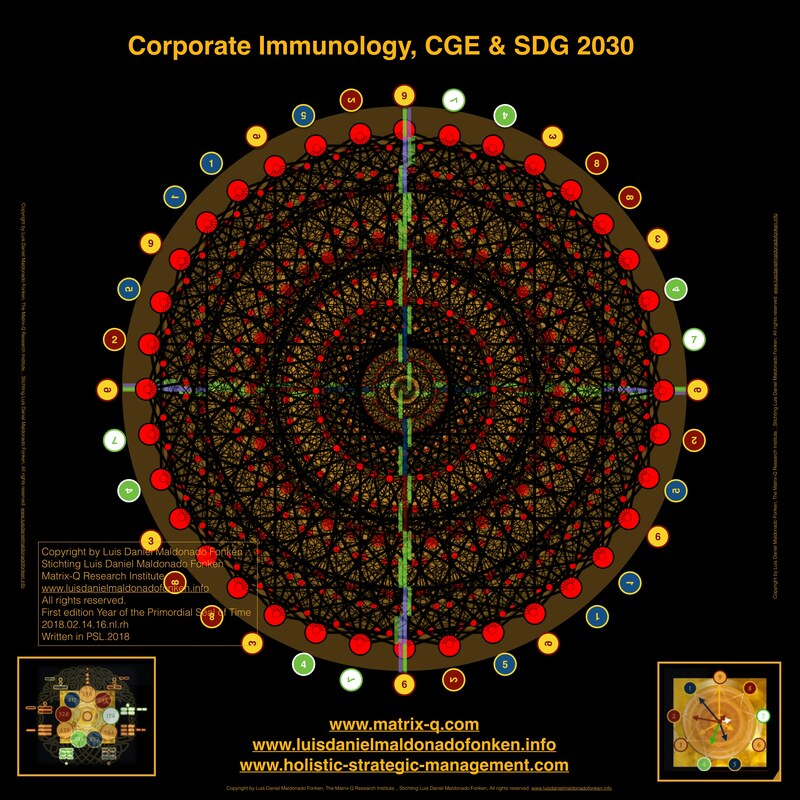 A review of the CGE – Culture Generation Engine, concept/model, developed by the researcher, and its evolution, reaching its maximum development as for the generation of a global culture, and its civilization, includes a prediction of a process of inclusion, destruction and competition, between modern culture CGEs, aiming for global dominion and management (of other CGEs), through particular set of operational and decision making guidelines, values, beliefs and perceptions. A new interpretation of the Myth of Babel Tower is suggested, with an alternative peace unfolding. 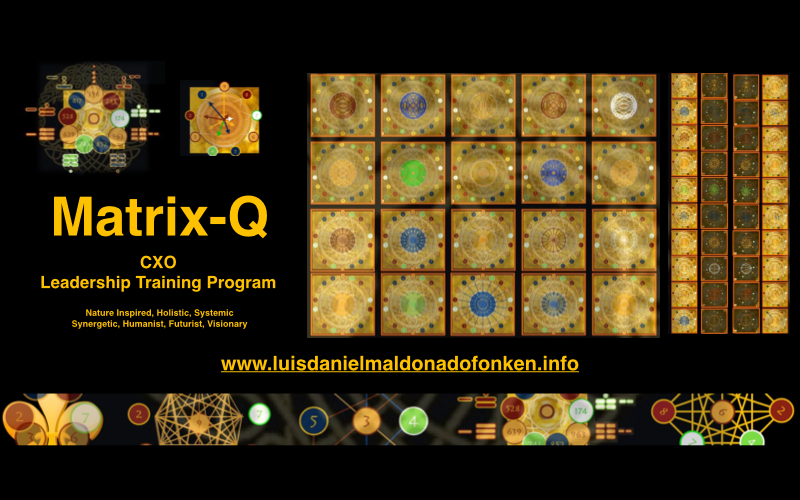 Following research and test trials of the Matrix-Q Research Institute, in the field peace work, leadership, global citizenship, SDG (Sustainable Global Development) will be suggested. As conclusions: By utilizing an universal translator, of culture, belief, perception, knowledge, and information systems, the possibilities, chances, for an effective peace-leadership are enhanced. 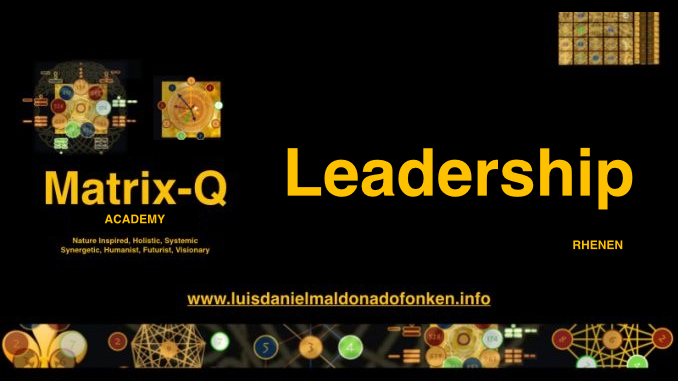 By providing training on Peace-Leadership, the Matrix-Q Research Institute intents to bring by new skills to modern leaders of the emerging Global Culture and Civilization, that would enhance their abilities for peace integrated to an effective management and self-management. The results of their leadership work, achievements in their projects, will be proof of the effectiveness of the methods. Are conflict, aggression, violence and destruction a latent and endemic virus ? Which are the origin of war and conflict, destruction and aggression ? How conflict of interest evolve along communication and collaboration? Where the needs of the weak become the abuse of the strong ? Which challenges face a culture and a belief system for survival ? Are human rights, of belief and culture, realistic, in terms of a globalized modern world and its global culture ? Can all languages and cultural perceptions of the world, live in one single city ? Is the earth planet transforming itself into a global matrix of multicultural cities ? with the same conflicts in communication and understanding as those described in the myth of babel tower ? Is the internet the new babel ? How a tool that is capable of translating cultural and belief systems would be helpful for modern peace-leaders ? How can the human rights be ensured, when one lives abroad in a new culture that request of a cultural integration and in some cases enforces a cultural and belief system change. And how the same rights can be protected at home land, when internet, media, travelers, businesses and development projects, implant new cultural and belief systems perceptions in the geo-locations of their cultures ? 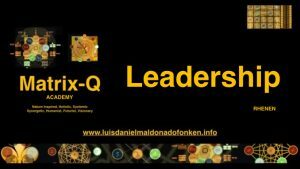 Which alternatives and new possibilities for peace and multicultural (multidisciplinary) integration capacity gives the development of Matrix-Q Intelligence ? 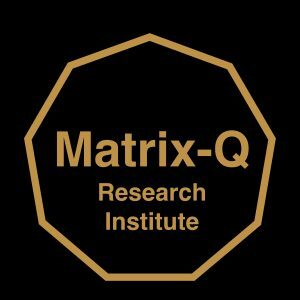 Which non violence methods have been developed by the Matrix-Q Research Institute ? How the PTƟ Tools for assessment, leadership, strategic management and effectiveness, can be utilized for sustainable development, peace, global citizenship, advancement of human potential (human stages of development) and education ? One of the biblical stories that captured the researcher attention as a child was the one of Babylon Tower. Genesis 11: “a united human race, speaking one language, migrating to Shinar to establish a city and tower—the Tower of Babel. God halts construction of the tower by scattering humanity across the earth and confusing their communication so they are unable to understand each other in the same language”. If the language of cultures and nations around the world, and their respective cultures, would be the same, then we would have peace. There are several reasons for conflict, one of the most important ones, is that of communication. In our modern times, communication training (soft skills) as for leadership and self-management is essential. Emotional self-awareness well applied, integrated with a set of guidelines or methods for non violence, would completely change the process of communication, and transform disagreement and risks of conflict, into a “rational, civilized, common goals and values driven inspired”communication. Several methods have been designed in order to achieve this type of communication, that would change the emotional turmoil and perception issues that are generated by worlds apart that come together and communicate. IN general this kind of risk, of “getting lots in translation”, or in other words, misinterpretation of words, over emotional reaction, generation of enemies, and conflict, starts with communication and perception. Perception is a foundation for peace, peace of mind, and peace in the world. How we learn to perceive and use, manage, our perceptions. Without individual self-awareness, self-observation, without perception and judgement of value guidelines, or guidelines for decision making, any individual perception could become the seed of conflict, if confronted to another form, pattern of perception, which implies conflict of interests. In a more tangible modality, we found those issues in the clash of cultures and religions, in the ancient human history, when nations with different beliefs systems and perceptions of reality and the nature of humanity, approached each other, claiming each of them to have the right to change the other one as for the purpose of solving differences. In modern times, the issue of perception, believe, language, culture, have brought human kind several times to the risk of self-extinction: WW1, WW2, and WW3 are good examples. It is the researcher perception that WW3 is taking place in every global citizen life, within the individual self, heart, mind, along the intent of inclusion, integration, within own-self, of all cultures, visions, reasons, beliefs, life styles, scientific and cultural approaches, encountered along the individual history or time line. A conflict that increases with exposure to media and in particular internet, and with the need of self-identity. When an individual needs or belong to a class of perception and interpretation of phenomena, a collective human cluster, named as family clan, nation, network, community, organization; the benefits of this choice are direct, in terms of “not being alone”facing the potential conflicts with the world, and having an ecosystem for growing. This kind of situation, the possibility of choice, of a believe, or an organization, of a culture, was not easily available in ancient times, unless for pilgrims and travelers, merchants and mercenaries, scientists, and mystics, that did travel the silk road, the merchant path of the mosel, the nordic merchant and pilgrim paths, and others, that brought them to encounter ancient cultures and civilizations, their knowledge and perceptions. In the ancient world, seems to be, a project dedicated to peace with the foundations of knowledge, brought together, in the intention of unifying humanity, was the LIBRARY OF ALEXANDRIA. As a peace project with focus on knowledge, technology and science, the Library of Alexandria was indeed very successful. Its end, was the end of a possibility. A destiny humanity would have had if Alexandria Library Project would have survived until today. In the modern age, with an emerging global culture and civilization, science and technology, made available globally unify the perception of humanity, through nature inspired knowledge. The question on what humans are, where humans come from, how humans functions: think, feel, decide; what humans do, what the world is, which are the laws and principles nature follows, how the universe operates, where humans live; are being answered daily by science and technology innovations. A global peace project that resembles the original intent of the intent of the Library of Alexandria. Through knowledge, there is the potential of peace. If fear to a particular possibility, results of research, exist, the individual may prefer subconsciously and consciously to avoid the possibility by creating an alternative interpretation of data, receiving a collective belief approval, and arriving to a collective agreement, for example in cases when a common culture or general belief sustains a perception possibility that avoids the causes of fear. In the ancient times, along the inquisition era, which was not only practiced by the catholic, christian religion in middle age, but by several other cultures and religions, regarding individuals that did not agree with their perceptions and did not engage into their cultural practices. For example in the Inka empire, the Nazi Culture, the discovery of “new worlds” by the european cultures, and several others that still take place in our times, with a similar pattern of decision making: if thinks, behaves, belief different, then it becomes an issue for the status quo, therefor is necessary to isolate it, and control it, as its potential viral condition, may induce a change in the system, that the system holders, leaders, may not prefer, as such a change do not belong to the possibilities suggested by the standard believes. The mechanical science intent of peace, did focus on mechanical reasons, that can be universal, in terms of what the reality is, and therefor, perceptions, which are infused by the combination of conscious, subconscious, objective and subjective realities, existent or not, that are cause of conflict will be dissolved. Scientific research has generated several languages of universal communication, several ecosystems, the one of the mechanical science approach is one of them, another one is the one of mathematics, universal in nature. In our modern times neuroscience, cognitive studies, human genome, human potential studies, immunology, epidemiology have brought clarity to leaders from all around the world, on the basic nature of humanity, and to the fact that there are more common traits and characteristics in all humans around the world, that differences. The new library of Alexandria, as a peace project, is now available online. Along 2011-2014 the researcher developed a method, based on emotional self-management and perception, which helps individuals, leaders, enhance their communication, collaboration skills, by advancing emotional self-awareness, perception, self-observation, language, emotional-intelligence, systemic perception, attention, concentration, concentration, stress management, trauma release, self-regeneration(repair) of damage, self-love, value driven communication, operational and decision making guidelines, body awareness. 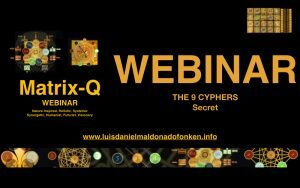 The method has been integrated to 9 Steps Programs, provided by the Matrix-Q Research Institute in the Netherlands and online (under request). Training program, documentation, coaching services, are available, for leaders that wish to enhance their skills and advance their knowledge and self-management abilities; as well as licenses and certificates for coaches and trainers that would like to facilitate the method. The method is being facilitated as a tool for burnout prevention, and essential practice of the 9 Primordial Arts, including Prime Do, the Path of the Primordial Hero (Peace, Non Violent, Martial Arts- Articles ) , which confronts the practitioners to conflict, aggression and destruction issues in their own culture and family history, and helps them solve those through natural peaceful harmonious self-management and body memory release. The method has been effectively used for management communication, team building, as is strongly suggested for leadership and corporate. As well as a practice for peace-leadership. Described by the researcher as the one that makes possible for an individual or cluster to solve challenges by approaching them from several perspectives simultaneously. 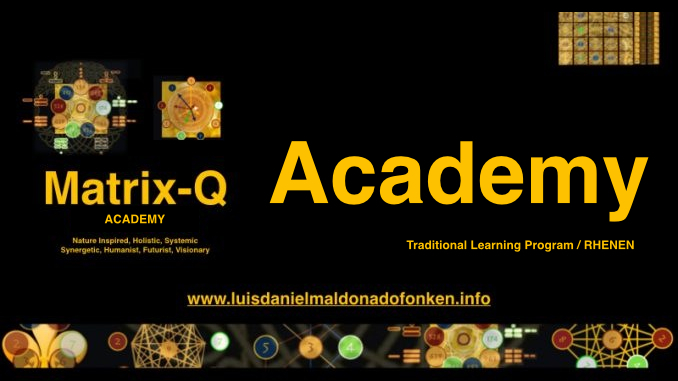 A natural ability, which can be experienced in praxis, in the ability, for example, of multidisciplinary collaboration, research, solution making. The Matrix-Q Research Institute is studying and developing Matrix-Q (Quotient of Intelligence) tests, as well as training programs dedicated to enhance Matrix-Q Intelligence, as necessary for a global culture and civilization leadership, education, scientific research. 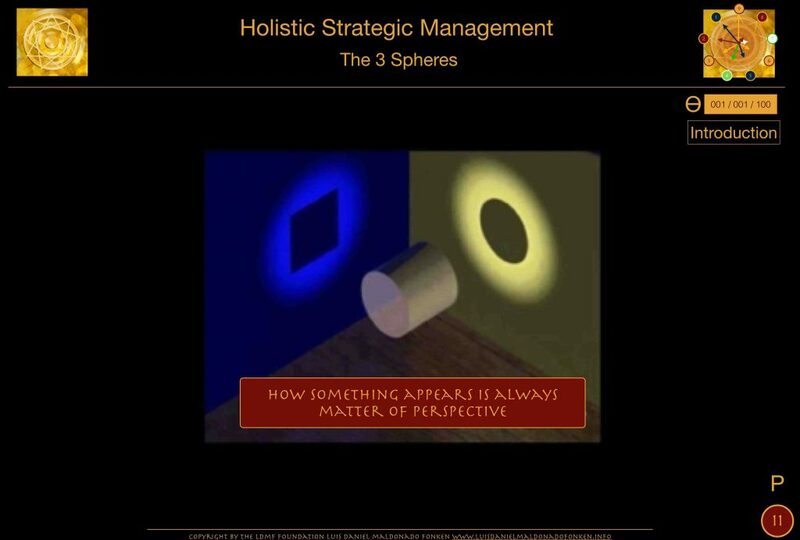 As the ability to include several perspectives into one single strategy, is the ability necessary for peace leaders in a modern multicultural, multidisciplinary, multi-belief system, multiple-perception world. In a conflict of interest, or conflict of perceptions, conflict of meaning (language), conflict of belief systems, conflict between cultural customs and their cultural knowledge justifications, a peace-leader needs to find a language, that brings people, resources and talents together, and gives to their communities a sense of vision and purpose, beyond themselves, towards a future that is desirable and sensical, preferred than a future based on conflict and destruction. Peace is an alternative, a conscious choice, which requires courage, the ability to perceive the world as it is without fear, perceive the dark and light sides (hidden and visible, conscious and subconscious, objective and subjective) of humanity, without fear, without avoiding the facts and their meaning, without realizing the consequences and impact of decision making, and by knowing the truth , status, of the human condition, making a choice that will bring the human species forward in its evolution, and ensuring the global culture and civilization being formed today, to become a civilization of peace and harmony. The researcher has suggested that all cultures have been generated by an “engine”. The CGE – Culture generation engine, is a system hat helps individuals organize human, natural and artificial phenomena, in classes, set perceptions, behavior guidelines, costumes, judgements of value, emotions, operational guidelines, decision making guidelines, meaning (language), in general the foundations for a culture, which, if induced into a collective of humans for 9 generations, would create a culture generate a culture. A belief system, as a religion or cultural belief, has as well, as its foundation, a CGE. The culture of a family, a community, a network, has as well its CGE. In modern times, through the internet, the practice of a set of values, have attracted individuals to gather themselves and join networks and projects, that claim to be value driven, and have been capable to build up communities, that naturally evolve, with their own culture. While within their own networks, the differences between knowledge, languages, cultures and beliefs, even common goals, are remarkable and relevant, still reason for conflict. 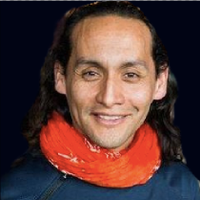 A value driven organization, network or community, needs of a common language and the possibility to understand each other through it, without generating a conflict between the systems of perception that hold their communities, culture members, together, in their feeling of belonging, self-identidy, security and safety. The Arabic Integration of several african, asian and middle east, belief systems, by the Islam, religion. The Buddhist, Shintoist, Christian, Vedic & Slavic religions Expansions and integration of territories and cultures world wide. The cultures generated by the religious CGE, or the religious practices developed by the culture CGEs, brought to their practitioners a set of values, language, meanings, perceptions, emotions, operational and decision making guidelines, costumes, and “truths”, which by being exposed, confronted to an universal reality, will clash with those perceptions (CGEs) of other cultures and belief systems. The numbers of killing, destruction of lives and cultural values, heritage, along the cultural, religion and belief system conflicts, surpass the millions of lives, and destruction of valuable and impossible to replace, cultural legacies. (REF:Nicholas Roerich known also as Nikolai Konstantinovich Rerikh). The cost for humanity learning process, on peace, on cultural ability of inclusion, integration, expansion, without destruction, has been very high. A language capable to integrate, help cultures and religions understand each other, through common perceptions, is necessary, for peace. Once an idea has been implanted in the perception of a cluster of individuals, and it has grown with emotions and judgements of value, behavior, operational and decision making guidelines, will emerge from it. In some cases may take generations, in others, according to cluster background and pre condition, may take just seconds. In a system that is sensitive to a particular virus, as for the reason of it being endemic or latent, or passively prepared for it outburst, triggered by a second or other type of virus. Bio terrorism may play with this type of hazardous games, passively creating an endemic non perceptive and latent issue, and triggering their complex outburst, through a non dangerous biological trigger. The same strategy may apply for perception induced viruses, which complexity affect and influence emotions, and induce behavior, choice and affiliation. Modern marketing, mass psychology based algorithms, may be a good example, utilizing cultural background and subconscious collective patterns, for marketing goals achievement. Despite the efforts of science and technology, education, globalization, in a similar intention as for Alexandria Library (which was burned to the ground and its knowledge officially lost, even there is the theory or better myth that its records were hidden before the library fall). Despite the possibilities and changes in field perception, understanding, collaboration, common aims, that global citizen movements of the modern culture suggests to the world, a world of peace. There is still, in an almost global culture and civilization, the challenge of communication, the risk of conflict and the destructive effect of an unavoidable cultural expansion, that generates multicultural locations, with a series of integration issues. Multicultural cities, earlier examples of their local cultures, become global cities and transform themselves into a collection of cultural well defined clusters, with networks economies, and cultural/religious conflicts, similar to those that are experienced globally. Can all languages and cultural perceptions of the world, live in one single city ? is the earth planet transforming itself into a global matrix of multicultural cities ? with the same conflicts in communication and understanding as those described in the myth of babel tower ? Is the internet the new babel ? Challenged by the settings of the emerging global culture and civilization, individuals living as global citizens, experience the conflict between all cultural approaches and belief systems, as well as the conflict of interests, now between their own individual, family or clan interests (survival, sustainable development, wealth generation, advanced quality of living, life span) and those of the locations, cultures and belief systems they live in. Emigration online (through perception and assimilation of new cultural, belief systems, value driven agendas or networks, and or new lifestyles, induces in them the perception and desire of experience of a new possibility. The individuals transform themselves into carriers of a new perception and behavior, and or intent to develop it within their own cultural ecosystems, transforming their current setting, challenging their own clusters perception and culture (CGE), or make the choice to organically emigrate, looking for locations, with resonant conditions. 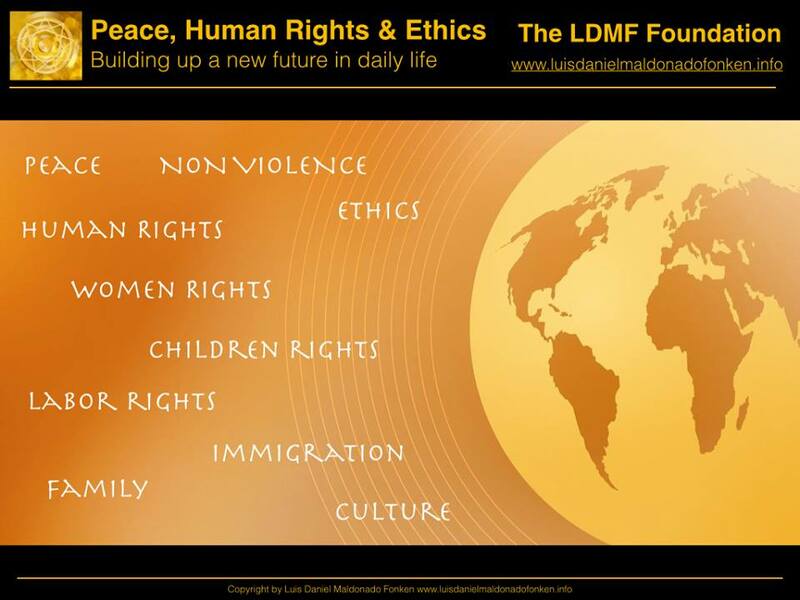 While the human rights declaration suggests to all nations of the world their cultures, and beliefs will be respected, new cultural perceptions, values and beliefs systems are implanted at their locations by the internet, development projects, commercial projects, leisure travelers or immigrants. Passively and indirectly, generation after generation, their cities change, turn multicultural, their laws changes, their costumes are forgotten by new generation, their beliefs systems are not strong any more to hold their communities together. But the idea that the declaration of human rights is sign of an advanced civilization, turning global, exist and is suggested as valid. When the destruction of a cultural life form implies the evolution of the species, a sacrifice for the future of the global human species is requested, or enforced. In our modern culture, the change is taking place slow, passive, and un-sensitive. The question stay without answer: How can the human rights be ensured, when one lives abroad in a new culture that request of a cultural integration and in some cases enforces a cultural and belief system change. And how the same rights can be protected at home land, when internet, media, travelers, businesses and development projects, implant new cultural and belief systems perceptions in the geo-locations of their cultures ? 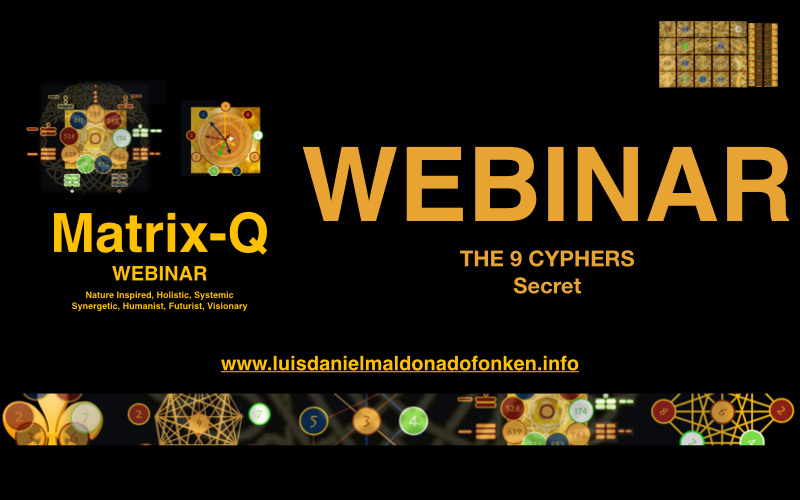 Hypothesis: The 36-Gon, utilized by he Matrix-Q Research Institute, as the geometrical structure, of a systemic, synergetic, nature inspired tool for the organization, management and perception of human, natural and artificial phenomena, a CGE, which has been developed by the study of ancient nature inspired cultures, civilizations, and their knowledge is a universal translator for cultures, belief, science and technology systems. If the hypothesis is correct, the researcher belief it would be possible to bring a new language, to the emerging global culture and civilization, capable to unify the globalized world, and bring peace, communication, collaboration, appreciation, respect and knowledge, to all cultures, beliefs and systems of perception and knowledge of the global civilization. The Matrix-Q Research Institute, is preparing itself, through scientific research and generation of data and new publications, for a global proposal on peace, by the study of ancient and modern cultures and civilizations, origin and present of the modern global culture, with the purpose of suggesting a common primordial cultural background and knowledge, valid for all cultures and belief systems, foundation of peace, global peace, and medium for communication, understanding, appreciation and respect between each other. Through the following research projects, the researcher has arrived to important conclusions, regarding a system of perception, that facilitates a common language, and is capable to describe universal knowledge as well as specific approaches (perceptions, language) of geo-located and crono-located cultures, civilizations and belief systems. The use of the 36-Gon as structure for a CGE, capable of inclusion and understanding, of all human cultures of the known and unknown, registered and not registered human history, would become a true universal peace project, and an opportunity for human species evolution, generation of knowledge and understanding, and appreciation, of the human history, its past, present and future. Consider the following story, written in PSL (Primordial Symbolic Language): A primordial culture, and their leaders, face the challenge of a new world, with a great variety of ecosystems and challenges, and intent to identify the ideal algorithms, approaches, that ensure the survival and evolution of the species. Based on a common background knowledge, implement several approaches to be tested all around the world, through a variety of perception and knowledge systems, languages. Specialization and implementation of a particular approach by several generations, brought to mastery of their culture, development of knowledge and skills, technology, solutions, would help them along a length of time, identify the most effective path for their future. If the story above written would have been true, the experiences of conflict between cultures, civilizations and beliefs, along human universal history, would have make no sense. For this conflicts to take place, an original primordial source of their cultures and background knowledge had to be forgotten, lot in the memories of their legacies, the final trials of mastery and evolutionary development of their cultural approaches, algorithms, effectiveness, would be placed under test. Along a process of globalization, only the most effective CGE would be capable of inclusion, peace and sustainable development. By utilizing an universal translator, of culture, belief, perception, knowledge, and information systems, the possibilities, chances, for an effective peace-leadership are enhanced. The PTƟ Tools for communication, collaboration and education, assessment, strategic management and leadership, may serve for this purpose. The following ideas will be placed under evaluation through a process of research, test trial. As a peace project with focus on knowledge, technology and science, the Library of Alexandria was indeed very successful. So there are the modern versions of it.